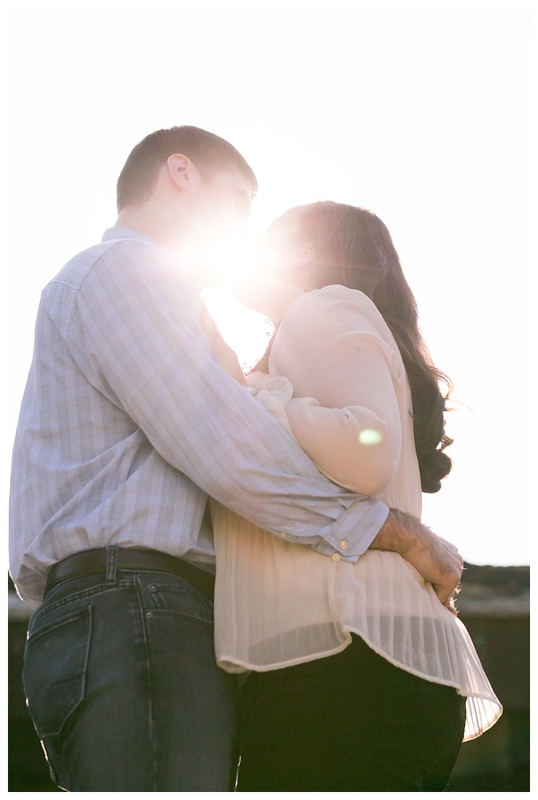 Mekina summed this session up perfectly when she said that these two are the kind of people you want to hang out with. I don't know about you, but anyone who doesn't take themselves too seriously is a fast friend in my book! 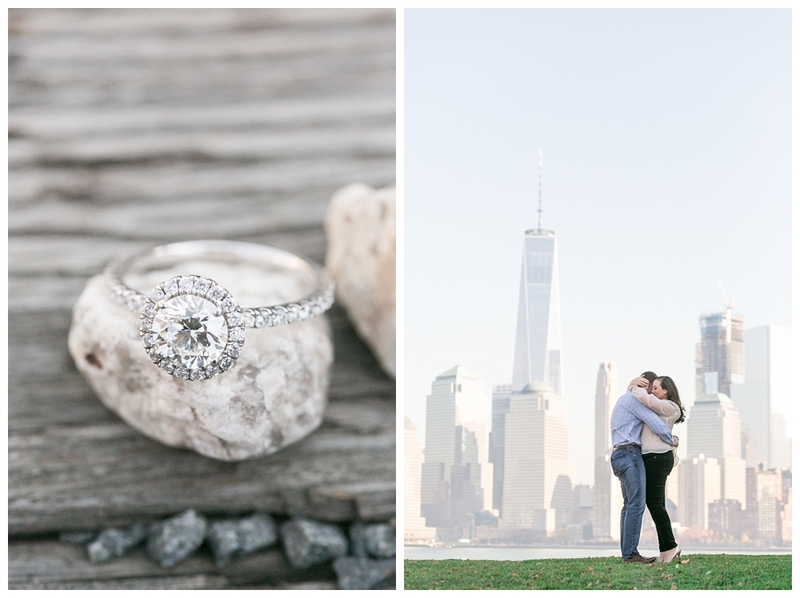 Amanda + Dave's engagement session at Liberty State Park was simple, sweet and absolutely adorable. 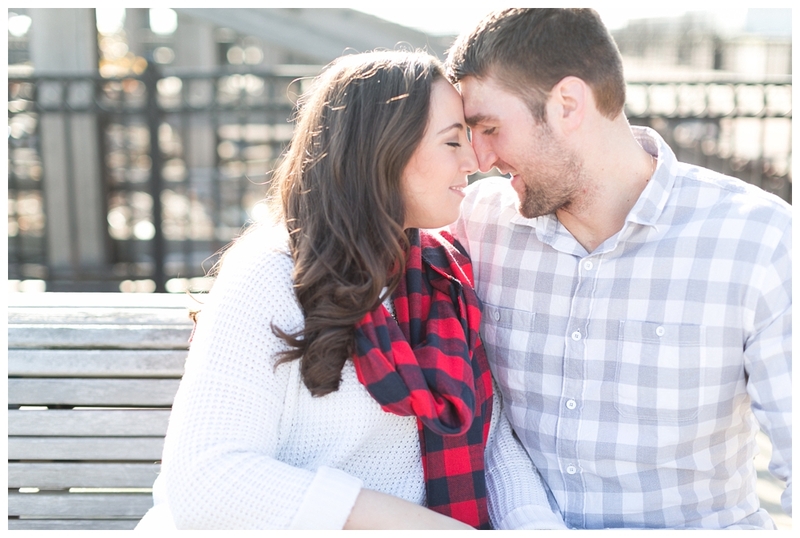 With a session this perfect and a couple totally in love, we can't wait to see what their wedding photos look like! 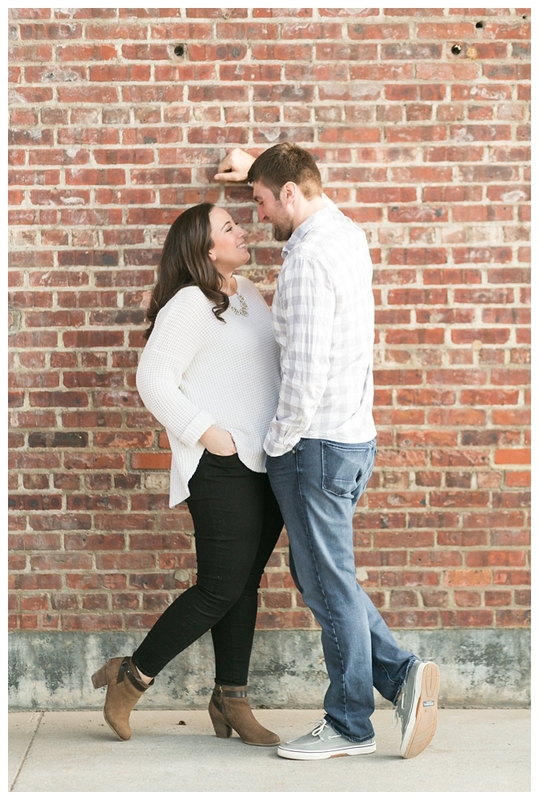 From Mekina: Amanda + Dave are the kind of people you just want to hang out with. They’re fun and sweet and oh so inviting. Quite honestly I feel like I could just chill with Amanda watching Netflix, beer in hand and pizza. It’s just fun and easy and totally my kind of person.Okay now to Amanda and Dave! 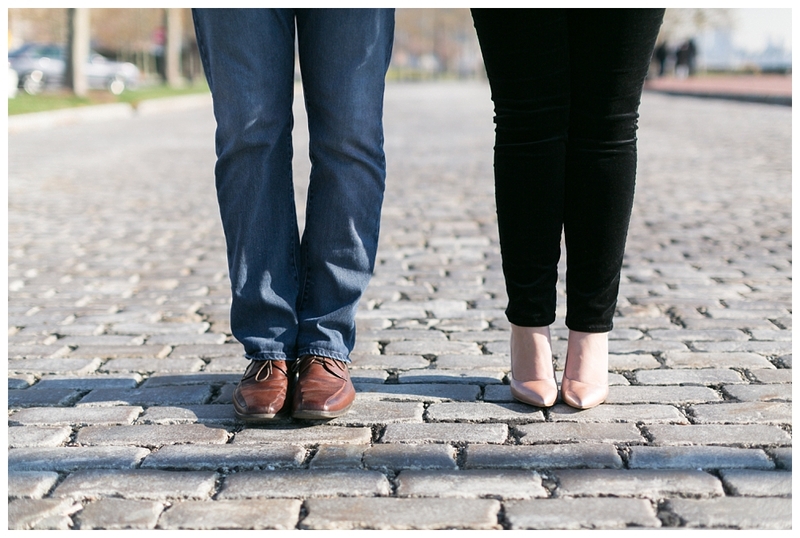 They met online, but you would never know it. Dave keeps Amanda laughing and sends glances her way that are oh so full of love. 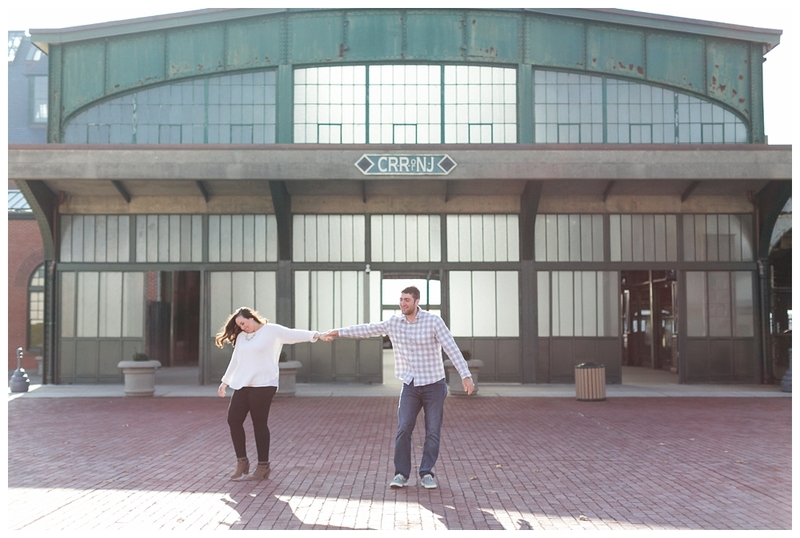 They poke at one another and dance in the street! 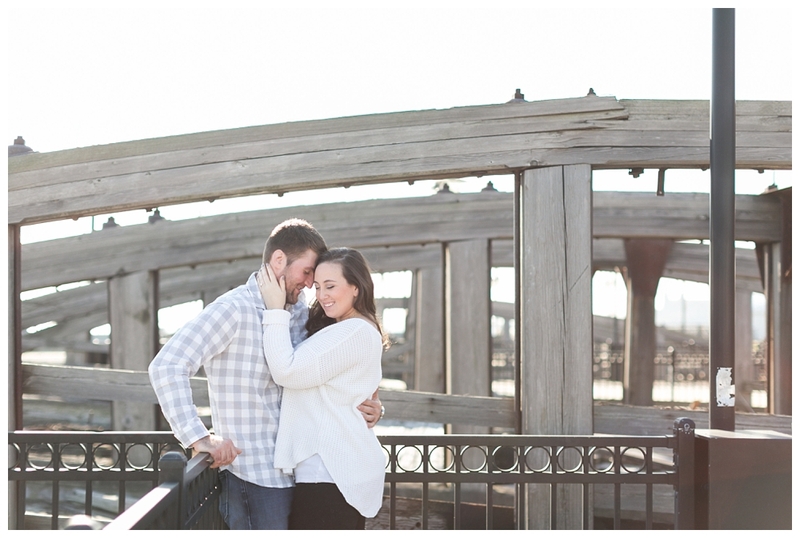 They’re just FUN and always up for a good time which is exactly what you want for an engagement session like this one!